Having been in operation since 1977, we are the Havertown moving company chosen by many of the city’s 52,000 residents. 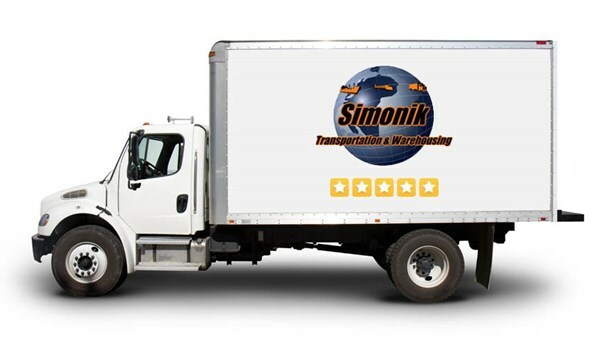 Whether you are relocating a business from Havertown, moving a college student from Havertown to Princeton or distributing products throughout the U.S., Simonik Transporting & Warehousing is the name you can trust to take care of it all. Havertown Residential Movers: Our professional crews have the skills and resources to provide you with a seamless transition, whether it be an interstate move or a local move. Our long list of residential moving services includes packing, crating, unpacking, storage, and so much more. Havertown Commercial Moving: You can rely on our Havertown movers to efficiently relocate your office or business with our cost-effective commercial moving services. Havertown International Movers: We take the stress out of moving oversees by offering a range of services that will accommodate your international move from start to finish. Specialized Moves in Havertown: Your high-value and sensitive items should be handled with the utmost care. Let our careful, experienced crew transport your delicate equipment and fragile valuables, ensuring they arrive safely and free of damage. Havertown Storage Solutions: Our state-of-the-art storage facilities are the ideal place to securely store your valuables and belongings. Warehousing and Distribution in Havertown: Our modern warehouse facilities and expert fleet of drivers will carefully house and distribute your valuable commodities. Trust your move with only the best! Backed by an A+ Better Business Bureau rating and ProMover title with the AMSA, our reputation sets us apart as one of the premiere Havertown moving companies. We are a proud partner with Allied Van Lines, allowing us the resources to handle any size move, whether it be across the country or down the street. Are you ready to take the stress out of your next relocation? Contact our Havertown, PA moving and storage company today! To learn more about our services or if you have any questions you need answered, give us a call and speak with one of our specialists. If you’d like to request your free, no-obligation in-home estimate, then fill out our online quote form and we’ll get back to you shortly.